….Royalty Carpet Mills is California’s largest independent manufacturer. Headquartered in Irvine, Royalty is the only independently owned carpet manufacturer based in the West that is vertically-integrated throughout the manufacturing process, from spinning their own yarn to tufting, dyeing and finishing the carpet, all under the strictest quality control and inspection processes in the industry. By controlling all aspects of production, Royalty can assure you the highest quality at the best price–and that equals the best value for your investment. …..Royalty is famous for trend-setting textures and colors, offering over ninety fashion-forward residential styles. From deep, luxurious plushes to tight, long-wearing saxonies, from elegant cut-and-loop patterns to affordable family-friendly textures, Royalty has the look–and the performance–for any home. All Royalty styles offer a ten-year warranty against abrasive wear, as well as soil and stain resistance warranties from such nationally trusted brand names as DuPont Stainmaster, Monsanto Wear-Dated, 3M Scotchgard. 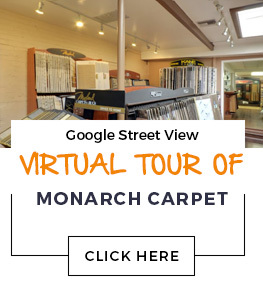 …..For the look and color you want, and the performance and value you expect, ask for Royalty Carpet.